Mail-in rebate below for free ATN X Trac with purchase of select ATN X-Sights! 5-20 Magnification – Smooth Zoom offers fine tune adjustments for your perfect magnification every time. 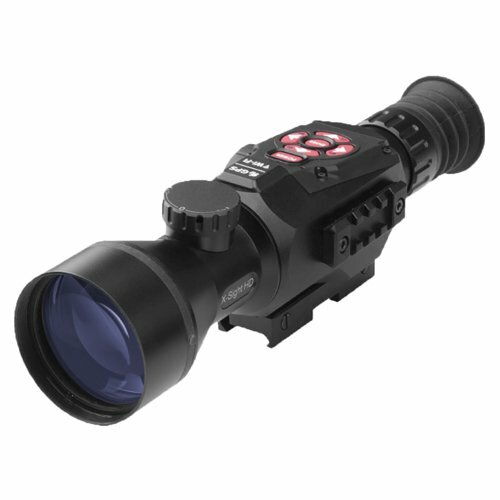 The X Sight provides clear images, for all your day or night hunting needs. Use Day and Night in HD resolution – take your shots in color at high resolution, with no blurry images regardless day or night! Smart Rangefinder – built in rangefinder allows you to range your target without carrying additional equipment. The rangefinder will calculate the distance of an object from the point you are viewing. 3D Gyroscope and E-compass – The scope has a gyroscope built into them. The gyroscope keeps images steady and blur-free.